Universal Orlando is one of our family’s favorite Orlando Theme Parks! However, there are often times of the year we avoid Universal due to the crowds and lines. 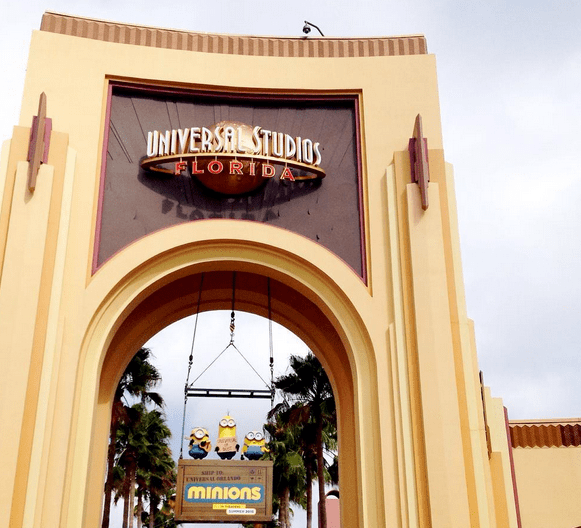 A couple weeks ago, Universal Orlando hosted us for the Choice Hotels Ultimate People Person mini vacation. They hooked us up with a VIP Tour Guide and took us to both Universal Studios and Islands of Adventure. Our tour guide “back doored” us to popular rides like Hollywood Rip, Ride, Rockit, Harry Potter and the Escape from Gringott’s, Spider Man, The Mummy, Harry Potter and the Forbidden Journey, Hogwart’s Express and so many more. Most of these rides had a 60-90 minute wait, but we walked right in. This was certainly a fantastic way to quickly see both Universal Orlando Parks. Our tour guide was almost like our “mother” during the day. When it rained, she had ponchos ready to go. When we got to rides, she would take all of our purses and bags while we rode the attraction. She was even there to take us to a delicious dining experience at Lombard’s at Universal Studios. She even stamped our valet voucher, so we could park in valet parking for FREE! However, for me the highlight was learning all about the Universal Orlando Parks. As a regular visitor, I learned a lot of new insider information about the park, rides and even celebrities that visit these parks. I soaked in all of the information and cannot wait to share some of these with my family on our next visit. The Universal Orlando VIP Tours are available for any guest. You can visit Universal Orlando for more information on how to book a VIP Tour for your next visit.